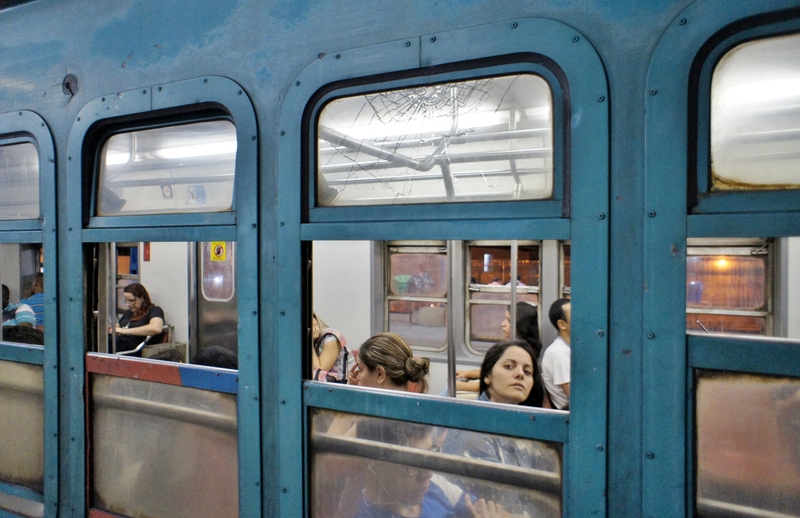 Many months ago, o RioRealblog took a couple of train trips in partnership with the Rio de Janeiro chapter of the Institute of Brazilian Architects (IAB-RJ), to get a feel for what a SuperVia train passenger’s commute is really like. World Cup coverage slowed down our team’s work on the resulting video. We apologize for the delay to our partners, readers and viewers. 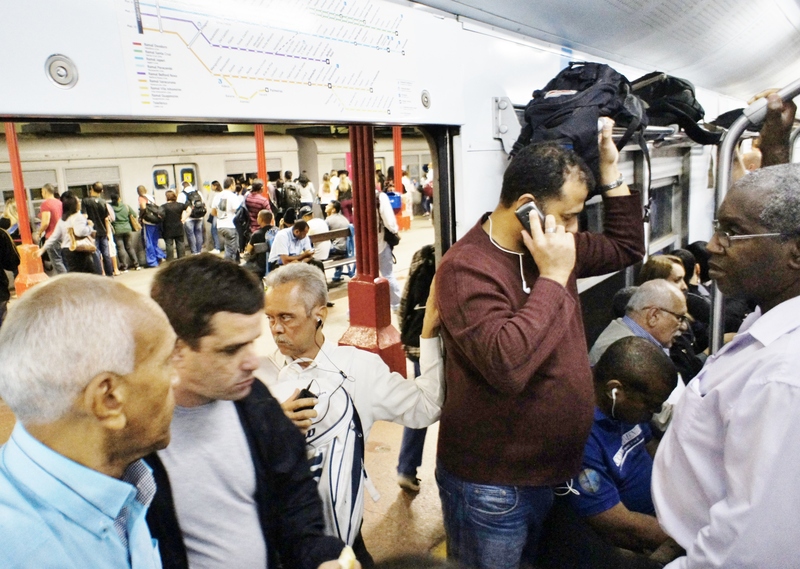 Admittedly, we lacked the courage to ride the trains at rush hour, the way hundreds of thousands of people do daily in Rio de Janeiro. But we rode them twice off-peak, in the morning and at night. We shot video footage and took pictures, and we spoke with passengers. The Central do Brasil train station, immortalized in a 1998 Oscar-winning film, is part of an eclectic combination of cable car, bus and subway stations. On the other side of the street is the Eastern Military Command, in the Duque de Caxias Palace. Despite the proximity of Army soldiers and regardless of the fact that the State Public Safety Secretariat is headquartered in a building adjacent to the station, the area — which occupies a huge block on the wide Avenida Presidente Vargas, doesn’t feel reliably safe (it was just out front that a cameraman died earlier this year, hit by a rocket during what turned out to be the last important street demonstration). 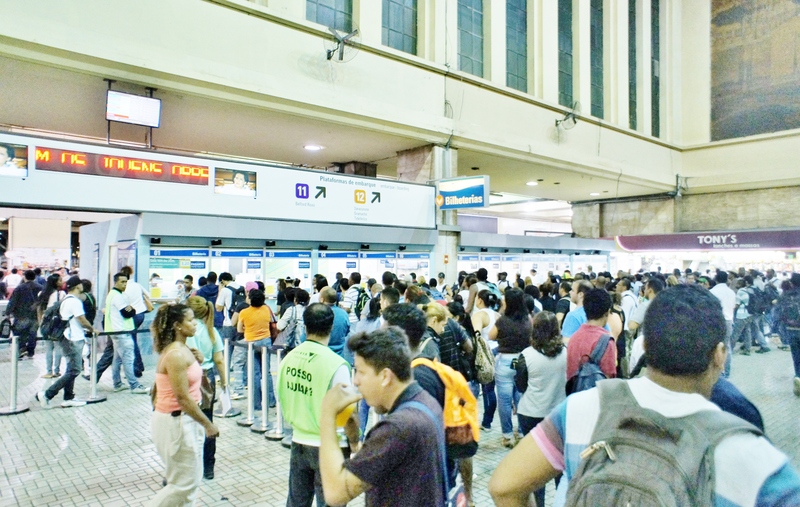 And, in parts of the Santa Cruz and Belford Roxo lines, passengers are at the mercy of drug traffickers who have allegedly taken over several stations. Cotrim noted that the Rio de Janeiro train system — with its enormous existing infrastructure — has great potential. He pointed out that IAB president Sérgio Magalhães recommends turning the train lines into part of the Rio metro. 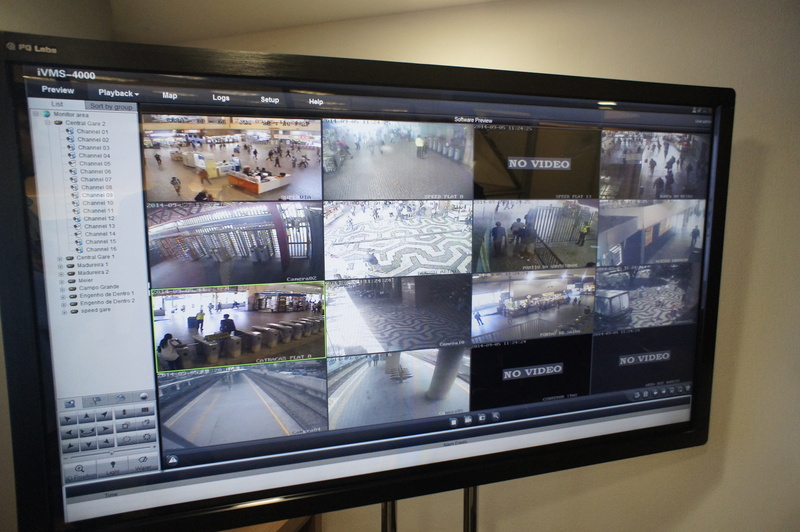 On a visit to concessionnaire SuperVia’s modern Centro de Controle Operacional (Center for Operations Control), inaugurated in 2012, RioRealblog discovered that this is pretty much what is happening. The company is receiving new trains and shortening wait times, bit by bit. 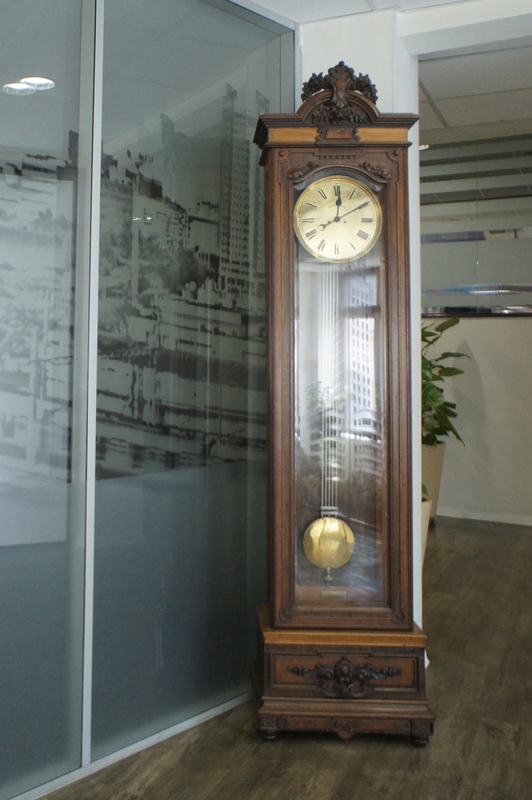 “The goal is to have a surface metro,” said operations director João Gouveia. Next year, he promised, all cars will be air -conditioned. A modern signaling system is also en route. Last month, the company submitted a request for station safety upgrade funding, to the federal government. The metropolitan Rio train network, which covers the cities of Duque de Caxias, Nilópolis, Mesquita, Nova Iguaçu, Queimados, Japeri, São João do Meriti, Belford Roxo, Paracambi, Magé and Guapimirim, as well as the capital, was privatized in 1998. Gouveia agreed with RioRealblog that it’s taken an unusually long time for good news to come out of SuperVia. There is, says Clarisse Linke, director of the Brazil office of the Institute for Transportation and Development Policy (ITDP), a decades-old deficit, the lack of investment.” In our video, we show a piece of a mini-documentary from the 1950s that could almost have been shot today, if it wasn’t in black and white. All that’s missing are the suicidal train surfers, who appeared in the 1990s. In fact, the transformation truly only took significant shape in 2011, when Odebrecht TransPort, which also operates two of Rio’s cable car lines (and has a share in the new trolley, or VLT, line coming soon to the center of the city), took control of the system. Since then, both the number of trains and passengers has been increasing. SuperVia set a record this past September 5, transporting 649,672 people. That’s just about the same number that used to take the trains daily in the 1950s. Since the June 2013 street demonstrations, sparked by bus fare hikes in Rio and São Paulo, the word “mobility” has at last found a place in Brazilians’ hearts and minds. The lack of attention to this until then — i.e., the priority given to automobiles, an alternative only for better-off citizens — was such that not even the relatively small and cherished Santa Tereza trolley system was adequately maintained. the fact that we have a small number of companies in the public transportation sector, almost all of which originated in civil construction. Are transparency and competition adequate for passenger needs? the work of the regulatory agency, Agetransp. Does it fully represent passenger needs? the nature of train station revitalization. Is it taking place along the lines of one of the most modern urbanism precepts, Transport-Oriented Development, such that neighborhoods and stations are integrated, vibrant and safe? For more information about SuperVia, click here. This entry was posted in Uncategorized and tagged Central Station, Clarisse Linke, Eduardo Cotrim, Estação Central do Brasil, Instituto de Políticas de Transporte e Desenvolvimento, Instituto dos Arquitetos Brasileiros - RJ, ITDP, Rio de Janeiro train system, safety Rio de Janeiro trains, Sérgio Magalhães, SuperVia. Bookmark the permalink.